Breeding Ancient dragons in the Breeding Dome functions a lot like regular breeding. Dragons are chosen from a combination of elements. The Ancient element isn’t used at all, because there are no possible dragons with the Ancient element. Each Ancient dragon has a new element (Beauty, Magic, Chaos, Happy, Dream, Soul) and an old element (Terra, Flame, Sea, Nature, etc.). 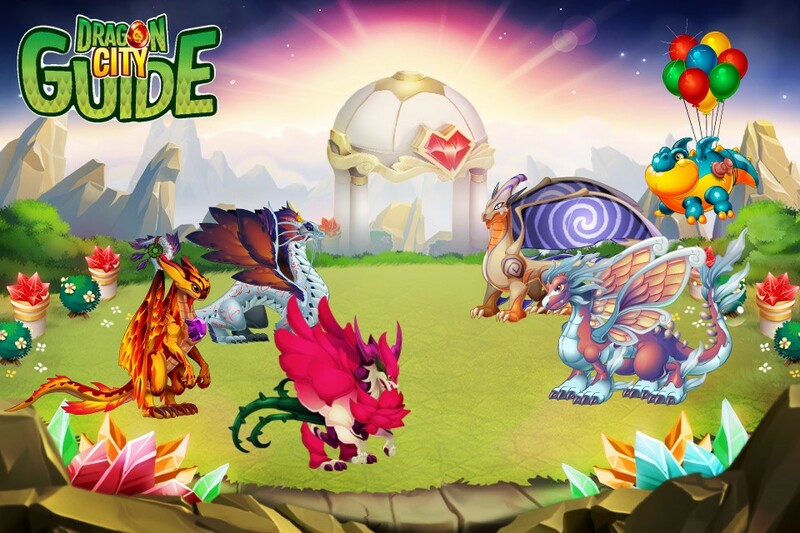 So far there are no breedable dragons that have a new and old element, so what that means is you will either combine the new elements from each parent, or the old elements from each parent. Since we all want to breed the new dragons with the new elements, that means it’s best if we can minimize the time of the dragons possible from the old elements. This should help you to be sure to get at least these 3 dragons over the next few days. A breeding calculator will be coming soon to help you pick out the best combos for all the dragons! Anyone know wich dragons of ancien world can i use ??? Where is the ancient calculator? Its been 12 months and still no calculator…. Does anyone know if it is possible to breed Korean Soccer Dragon in Ancient World? In the breeding guide it calls for breeding Red Rose with Neon to get Acoustic. Now how in the world do you do that? I need friends on this game to help me out? How come on the mobile app I can’t breed the dragons I get from the ancient world like the flawless dragon with the profit dragon or any other dragons? I breed lvl 3 guardian and lvl 2 gorgoneia and got a plankton first try, then a mermaid dragon second try. Hope it helps someone yeah? Can you breed rare hybrids? Has anyone tried to get rare dragons by messing with the breeding of the ancient dragons? Anyone have any results to share? At what level do these dragons become adults? It don’t seem to be level 7 like all of the non-ancient dragons. How do you breed ancient world dragons with the original category dragons? These worked first time for me… all lvl2 dragons. I used a tip from another player for AMAZING DRAGON & got it 2nd try Fulltune lvl 5 & Ankeror lvl 2. With all these new dragons and habitats, are we going to get more islands and farms to accommodate them or do we need to free up space some other way? Also, can the “new breeds” be put in the Kindergarten and Dragonarium? I was able to hatch a Flawless but when I attempt to use it in regular breeding its not there- if I click on the categories it says “you have no dragons with this element” (beauty) although I’ve cranked it up to a level 21 I believe. Any ideas? Joseph Seeley add prophet and gurgle they are also easy to get. Pretty cool, great tip! Thank You!